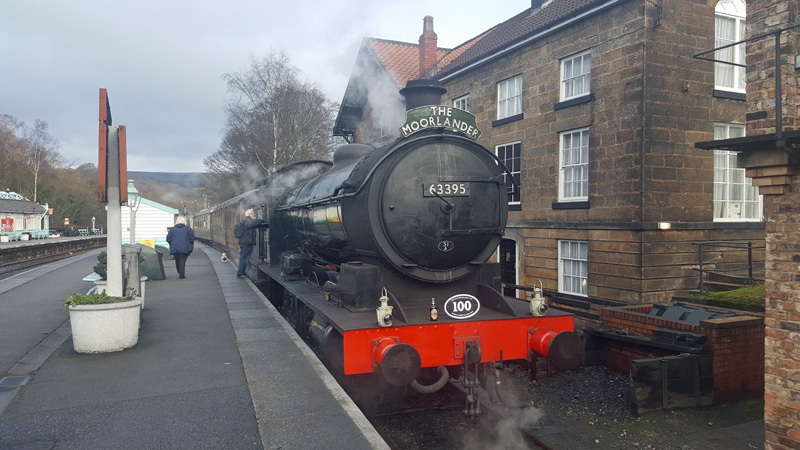 Because it clashed with a meeting of the Fundraising Sub Committee I was unable to get to Grosmont yesterday, which, in view of the weather, was probably a good thing. However, in spite of the wet and miserable conditions - it apparently never stopped raining - Ian reports that Bryan Orange, Jon Bradley, Nigel Bill, Steve Hyman, Derek Shorten, and Ian himself braved the conditions at Grosmont. 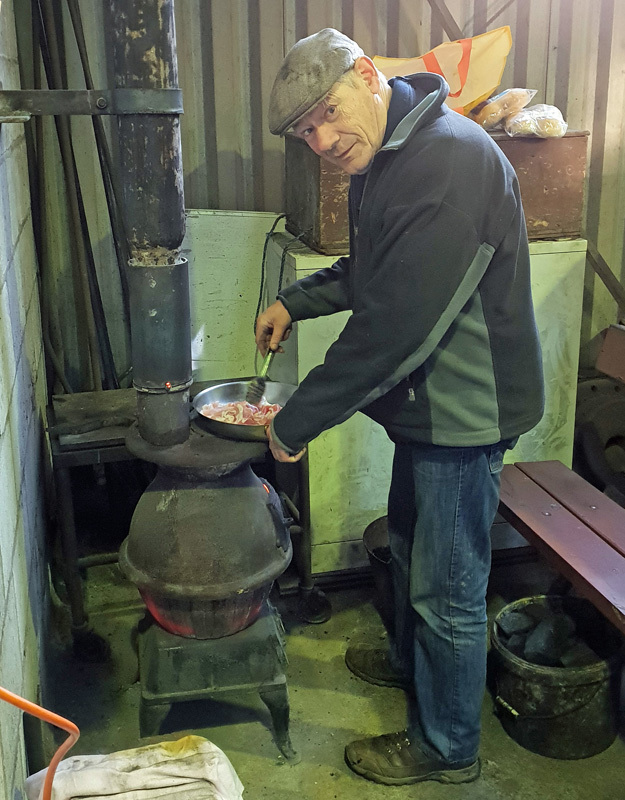 Bryan opened up Deviation Shed, lit the stove and got the kettle boiling. Tea and biscuits all round, with Jon bringing some biscuits, although I must say that those on offer at Hopetown on a Thursday take some beating thanks to Derek Norris! Bryan came in mainly to show Arthur Jenkins, who came with John Midcalf, round the machine shop area of the MPD, as Arthur has volunteered to train some of our NELPG JV's on workshop skills in succession to the late Chris Parrish. No mice to report, and Derek was brewing the tea, keeping the stove going, and getting rid of some old timber. 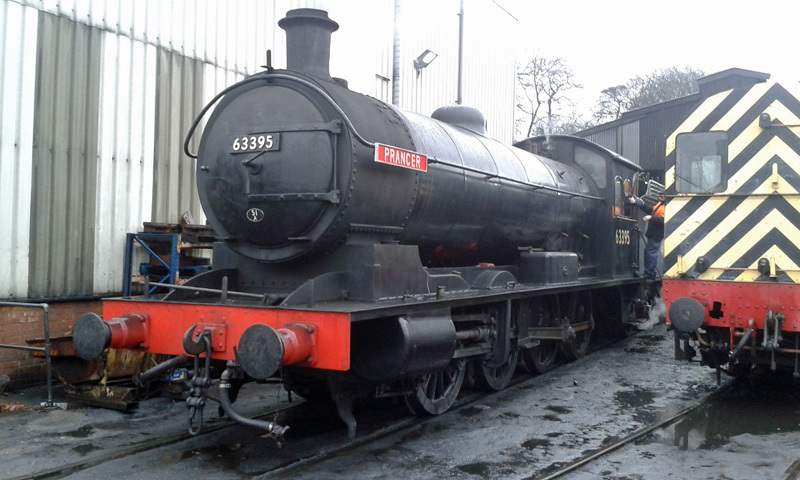 On the Q6, with the left hand crosshead re-metalled and machined on the Tuesday, Barney Casey and Nick Simpson had re-assembled the crosshead and put up the little and big ends. So all that had to be done was tighten up the locking studs on the big end taper wedge and fit the small cotter at the lower end of the wedge. This latter required a new cotter making, which Nigel Bill did - a job that took quite some time. Ian fitted the little end oil box to the crosshead. Steve took off the left hand slide bar lubricator pot to re-profile the delivery pipe, which was annealed and slightly re shaped to allow a better oil flow onto the slide bar. The trimming was also adjusted. The opportunity was taken to adjust the trimming on the right hand side slide bar oil pot as well. We now have 4 strands of wool on each trimming at both sides. All eight studs that secure the oil boxes and rear piston cover were split pinned. Jon and Ian opened out the small cotter that secures the large cotter that secures the crosshead to the piston rod. Jon cleared the firebox grate ash from Tuesday's warming fire and set another warming fire on the grate which he lit during the afternoon. 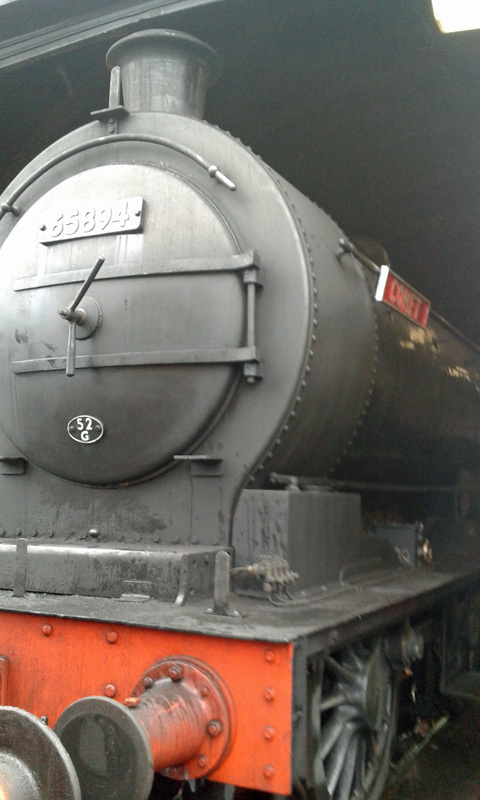 The Q6 was due to be in steam today, running just around the yard to check out the left hand crosshead. Assuming that is successful, it will be working the Santas from Pickering over the weekend. Lunch was had around the stove, nice and cosy. Bill called in briefly to see how things were progressing on his way to York Railway Museum that morning, to try and obtain some drawings of safety valves, safety valve springs and atomisers. The next working party will be on Wednesday 12 December. On returning from the Santa specials on Sunday, both crossheads were found to be hot. The LHS was stripped down yesterday and the white metal on the bottom slipper was found to be worn. It is being re-mettaled in time for the Santa's next visit. The RHS will be done next week. The cause is unknown , but a lack of lubrication is obvious. The design, 100 years old as it is, supplies good lubrication to the top slipper, less to the bottom one.